Heroin is an illegal highly addictive drug created from the resin of the poppy plant. The milky resin is known as opium which is chemically modified to create morphine. Chemical modification of morphine creates heroin. Typically heroin is smoked, injected into the muscles or veins or snorted. The dangers of using this narcotic drug include a high risk of abuse, psychological and physical dependency, severe long-term effects on the brain and body, the risk of overdose and even death. In the 1990’s the use of prescription opioid pain relievers was increasing prescribed globally to help fight the untreated pain epidemic in several countries. In the USA OxyContin was heavily marketed by pharmaceutical companies to primary care doctors and the drug’s addictive side effects were often minimized in these advertisements. Between 1996 and 2012, sales of OxyContin increased to more than $2.4 billion, up from $48 million. The production and the use of opioids, such as codeine and morphine, increased globally by similarly unprecedented amounts. High rates of addiction to Opioids and overdose deaths were associated with the overprescribing of Opioids for pain management, the lack of a consensus on the appropriate use of the products in private medical practices, and in the increasing number of for-profit clinics. Another contributor was the over advertising of opioid products by pharmaceutical companies. When the authorities finally censored and restricted the distribution of opioid pain relievers such as Opana, Hydrocodone, and OxyContin, many who were addicted to those drugs, turned to the use of the street drug heroin as a replacement. The drug is available on the street at a relatively cheap cost compared to the cost of its prescription counterparts. • Involuntary muscle movementsWith constant use, the user will develop a physical dependence on heroin. This physical dependence consists of two components, tolerance, and withdrawal. Tolerance develops because the user will need a larger and larger amount of the drug to achieve the same satisfaction he initially received. Withdrawal sets in if the user cannot maintain the quantity level of the drug he has been consuming or his supply stop entirely. Withdrawal symptoms include restlessness, strong drug cravings, muscle pain, and vomiting. Physical dependence on heroin will result in clinical addiction with constant use of the drug. Permanent changes to cognitive functions may result and learning and memory will be affected. The ability to make decisions and control impulses are severely affected while under the influence of heroin. • Contract Blood-borne diseases – the user may contract hepatitis B and C which may result in liver damage and the inability to rid the body of toxins. The user may also contract HIV by sharing infected needles. • Damage blood vessels – because addicts may inject themselves several times a day, doing so may result in scarred, hardened or collapsed veins. Damaged veins may cause restricted blood circulation and prevention of proper wound healing. • Develop infection – Dirty needles used to inject into an unclean skin can cause an infectious inflamed tissue condition known as cellulitis or may create a pocket of pus known as an abscess. These conditions, if not treated, will cause tissue death and may lead to amputation or become a hazard to the whole body. • Inject heroin additives – additives used to cut heroin will be passed to users who share needles. The reactions by the body to these additives may prove deadly. Often used additives may include sugar or sugar substitutes, Strychnine, Fentanyl, Phenobarbital, cornstarch, quinine, caffeine, acetaminophen among others. • Slowed heart rate and lowered blood pressure may result in cardiovascular collapse. Treating heroin drug addiction involves managing the intense symptoms associated with withdrawal from the drug and the addict’s feelings of depression and helplessness. For this reason, inpatient medical detox in a drug rehab center supervised by trained professionals will ensure that an addict will be given the correct medications for his needs.Also, resources such as therapy and counseling will be readily available to help the patient get over his addiction. The physical aspects of the heroin addiction will be addressed by detoxification, while the mental aspects will be addressed by therapy. 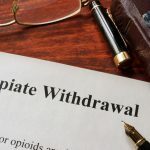 Following the inpatient detox treatment program, aftercare of the patient can be done through a drug rehab on an outpatient basis. This may involve visits to a daily treatment program with the individual returning home every night. These daily visits may last for several hours and will involve counseling sessions, observations, and tests. Another type of outpatient program may consist of meetings with a therapist on a weekly basis.